Get Updates from us via Email! 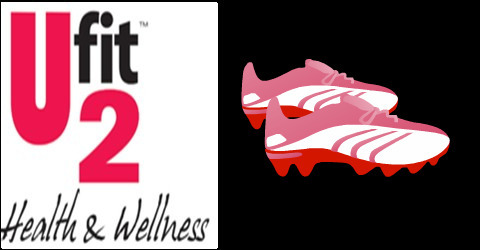 U-Fit2 Health & Wellness Inc., is a 501(c)3non-profit organization. Our mission is to educate and encourage church congregations/communities to adopt physically active lifestyles. We are dedicated to the promotion of faith-based he alth and exercise-related activities, designed to improve one’s physical, spiritual and emotional well-being. We belive our greatest resource is prevention and restoration, thereby preparing and equipping families through workshops, seminars, conferences, and health-fairs targeting increased physical activity is our best intervention. Our purpose is to provide services targeted to increase physical activity and decrease health disparities, and to implement a fitness leadership training program to sustain exercise programs, within our own communities, where they are needed most. Our founder, Sharon Cunningham has been a exercise leader and a program consultant in the fitness industry for over 23 years. Sharon has created and copyrighted several fitness programs that challenge the body and free the mind to focus on Christ. In addition, for 9 years she produced, directed and hosted her own fitness program on CAT-TV. Currently is our Executive Director for God’s Organization.